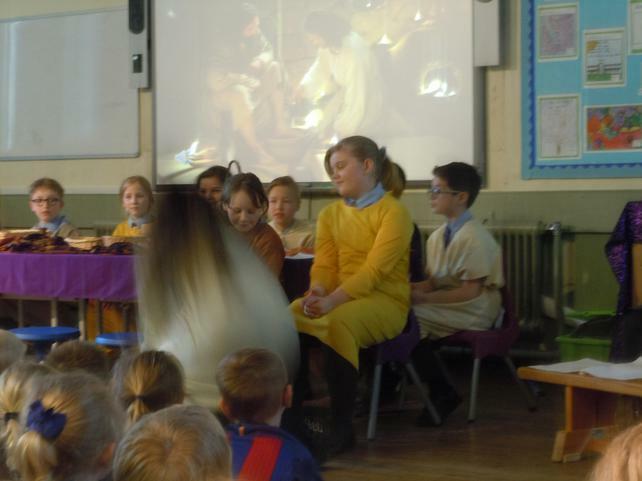 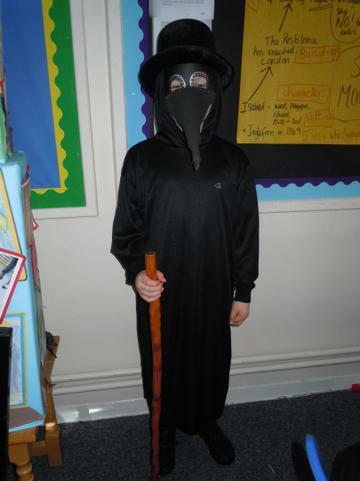 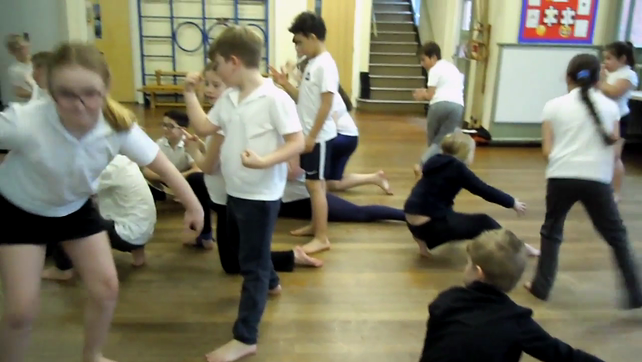 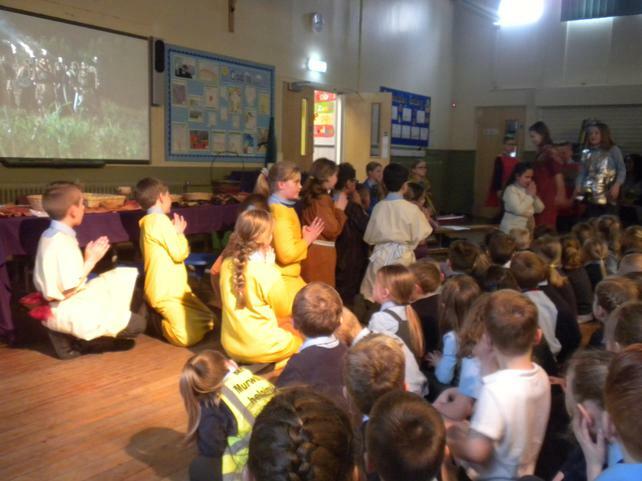 More dance as Year 5 tell the story of the plague in the 1300's. 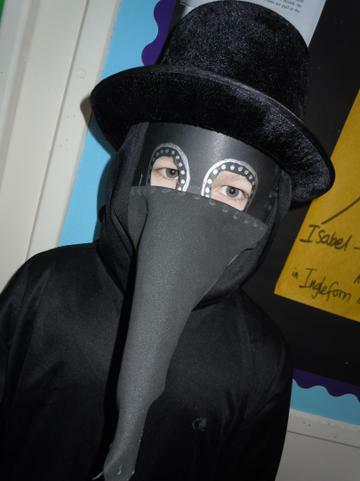 The disease soon became known as "Pestilence". 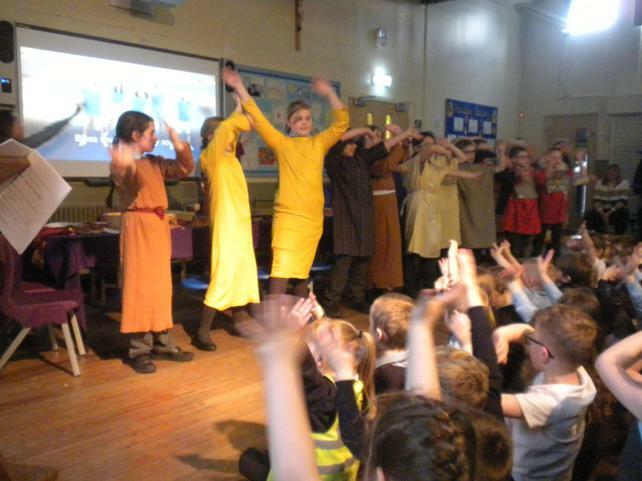 It started in China, killing the poor farmers and villagers before sweeping across Europe following the trade routes. 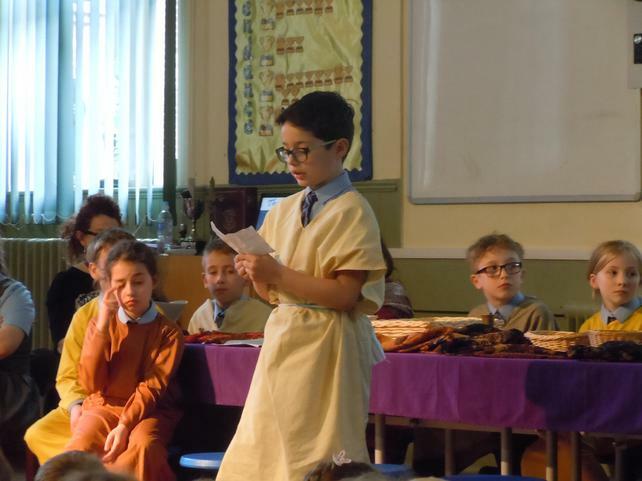 From Italy and France, it soon reached England via ships crossing the Channel. 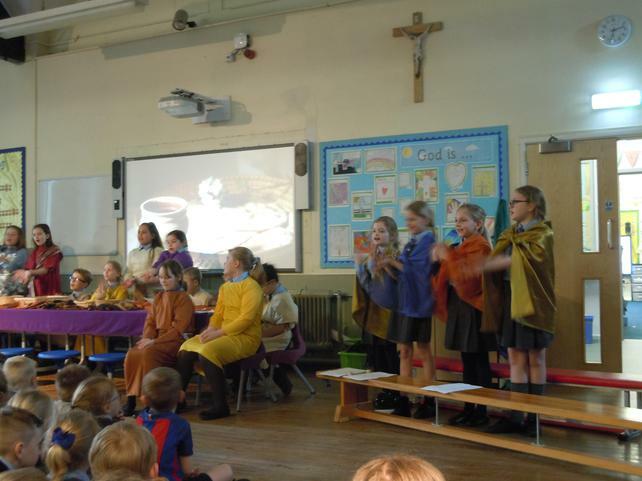 In England terrible stories were told, one in particular about a convent of nuns in France, which opened its doors to weary travellers who soon fell ill. 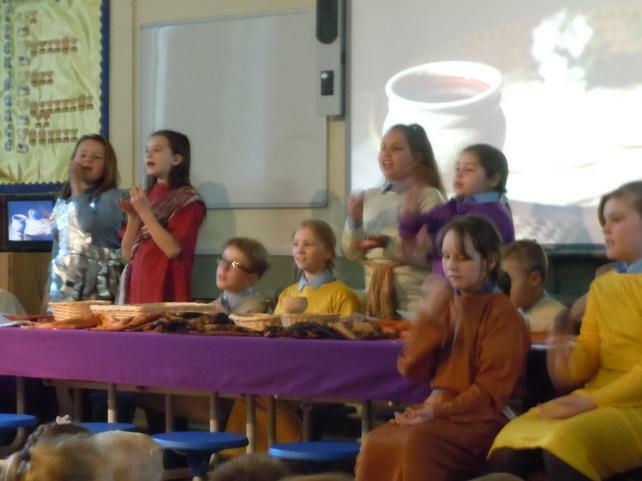 The nuns nursed and cared for them but soon became sick themselves. 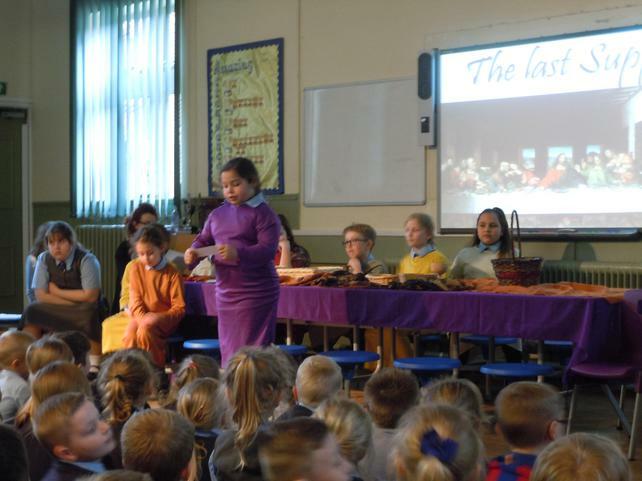 They all died except for one, she listed all her sisters and buried them before her life came to a tragic end. 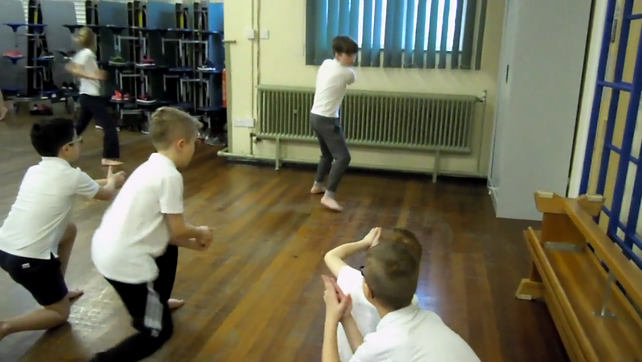 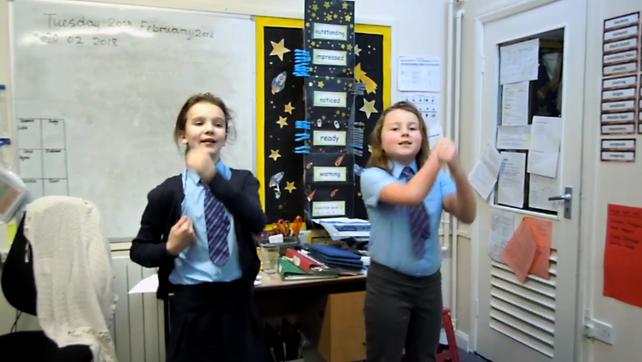 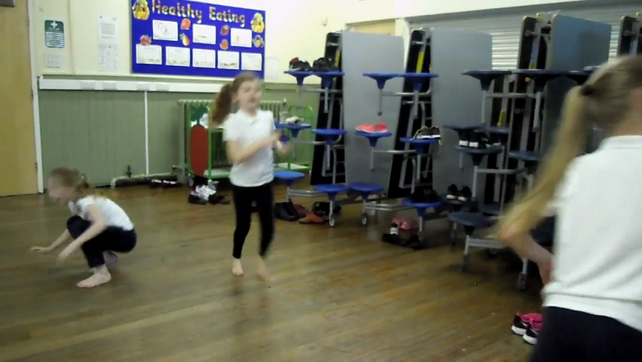 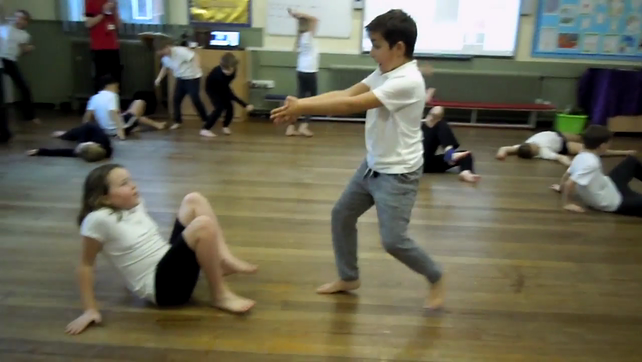 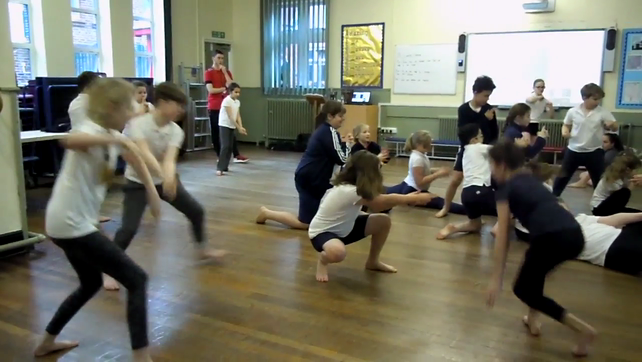 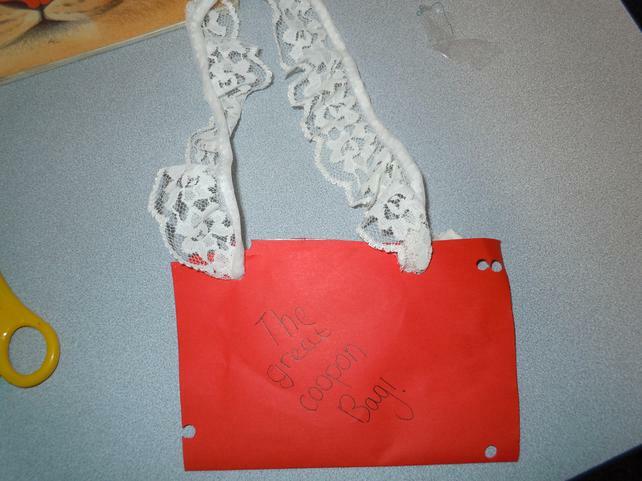 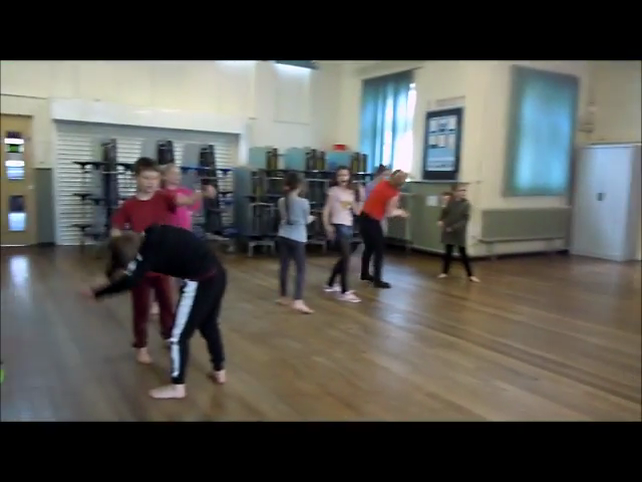 Check out the video clips of our James Bond dance... a work in progress! 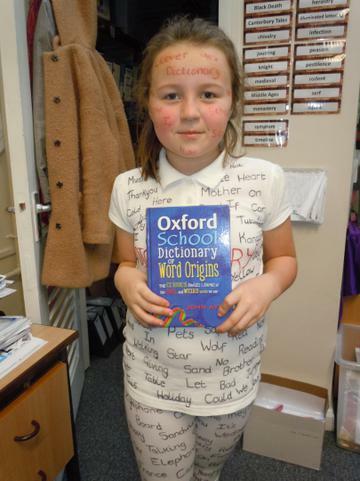 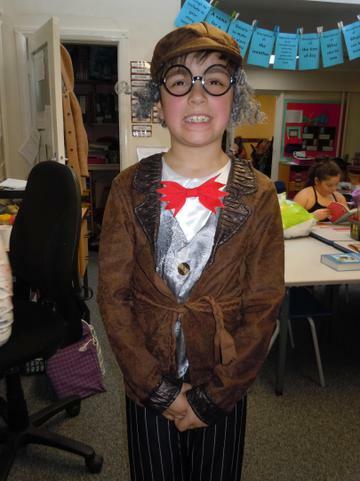 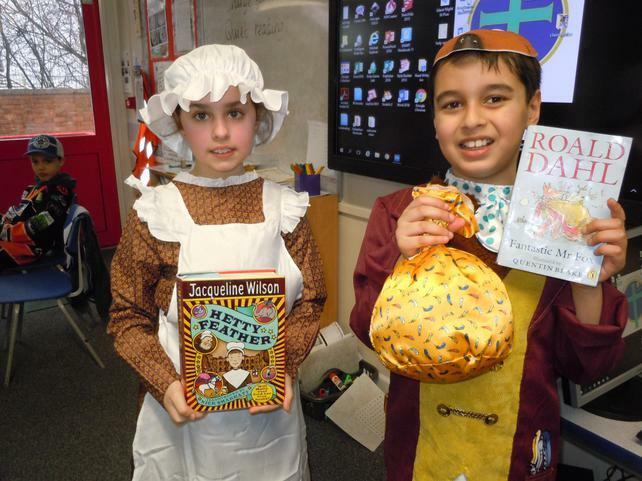 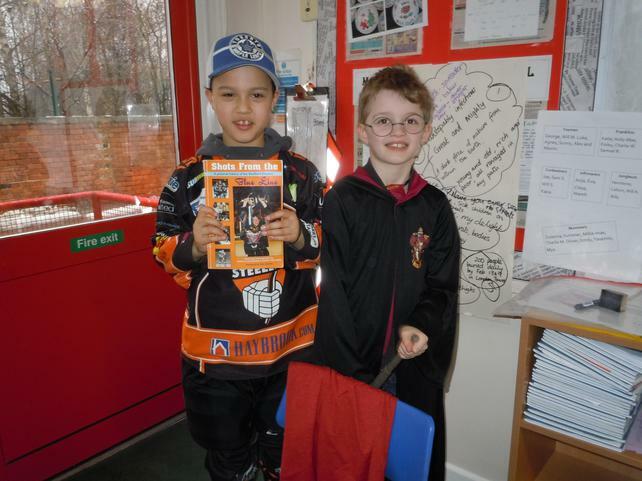 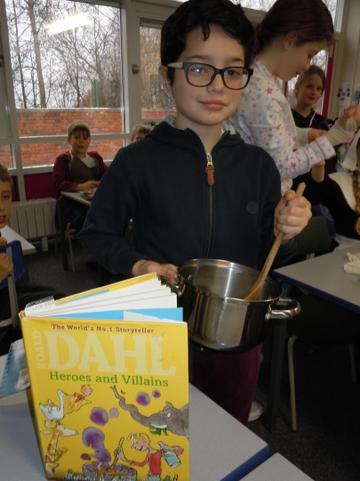 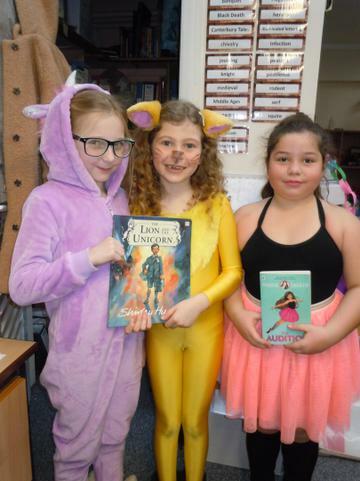 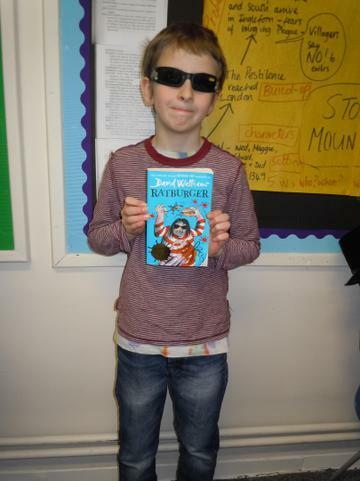 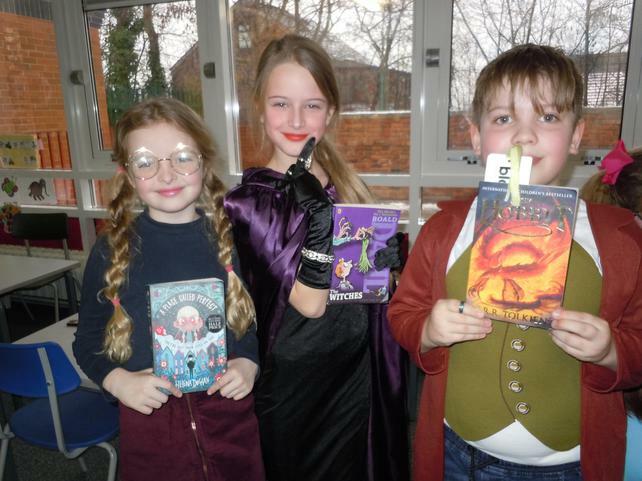 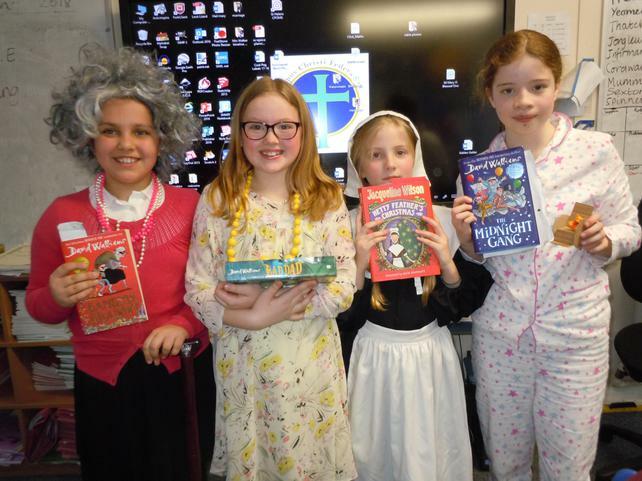 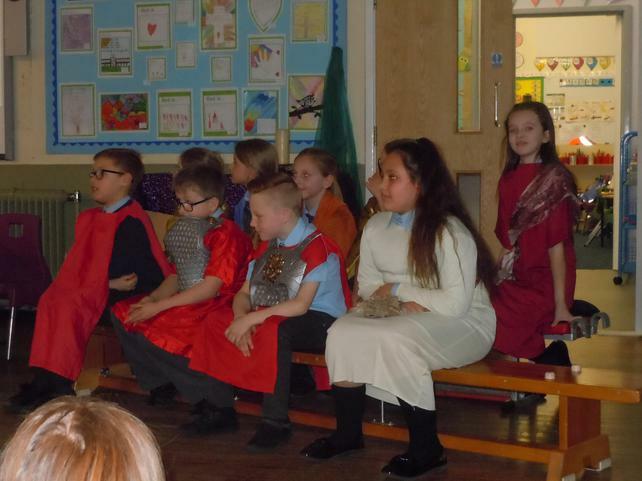 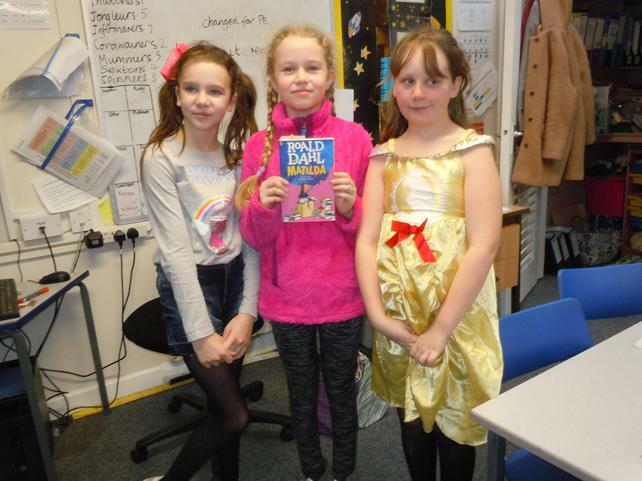 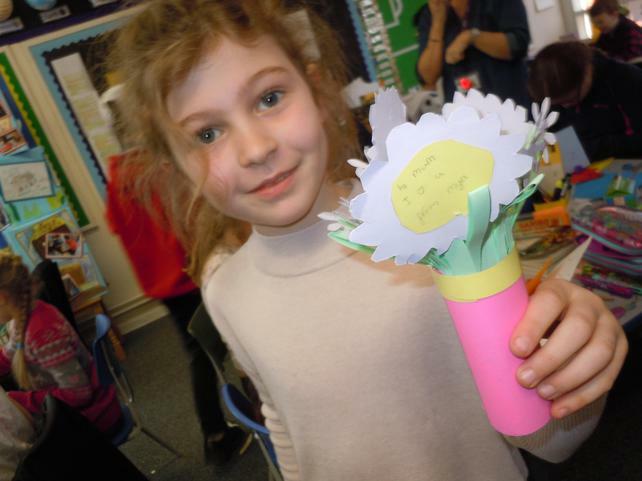 This week we finally celebrated a delayed World Book day. 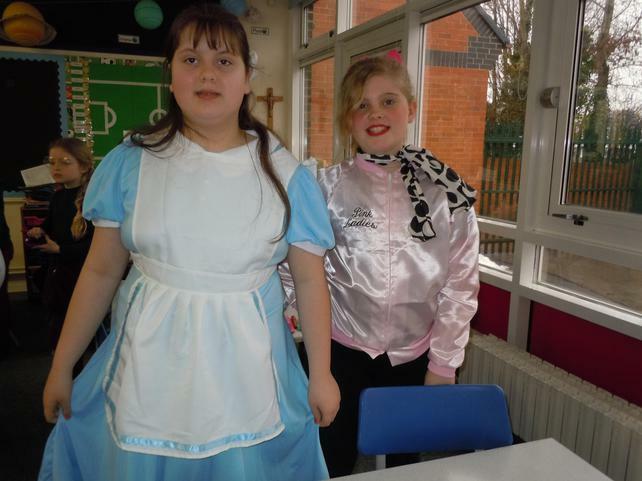 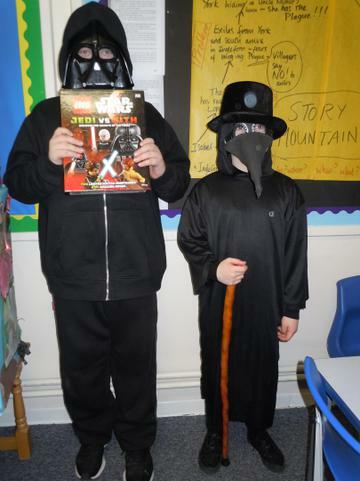 An excellent effort was made and the children certainly enjoyed dressing up! 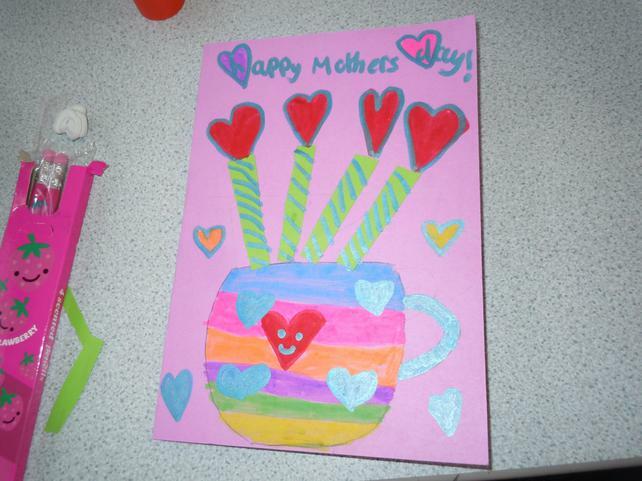 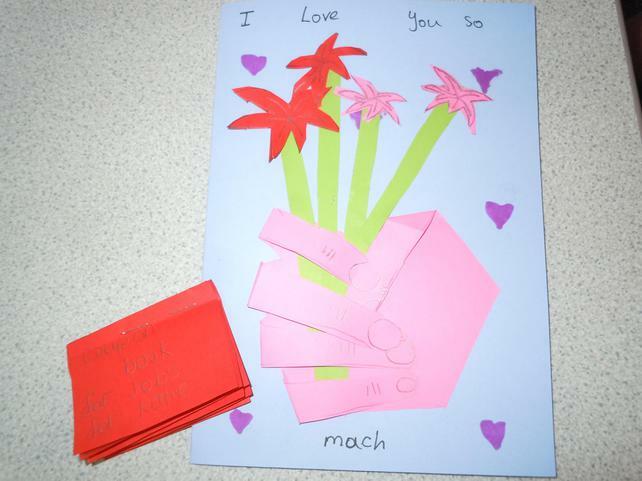 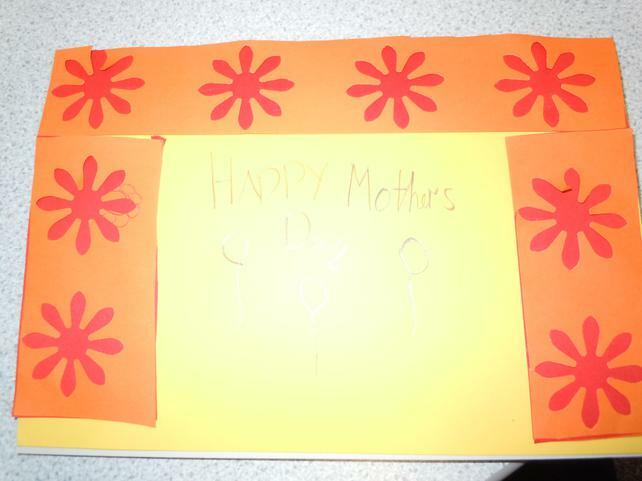 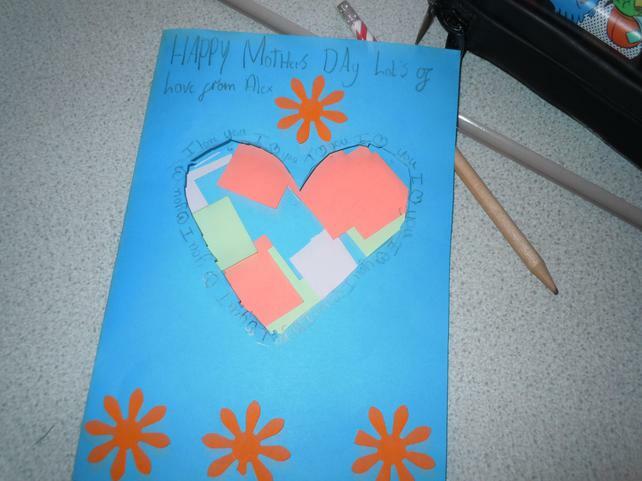 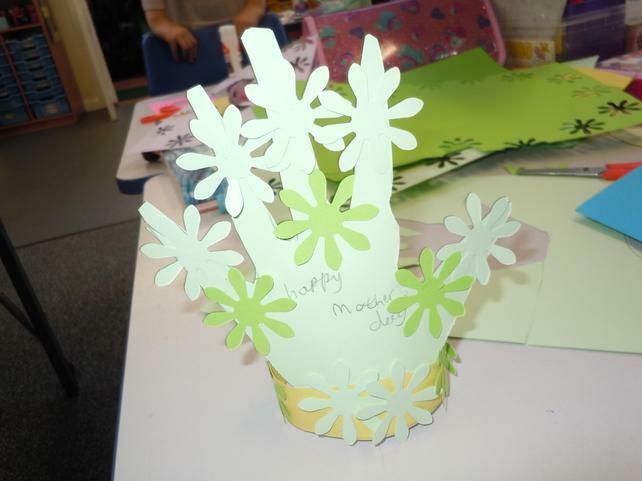 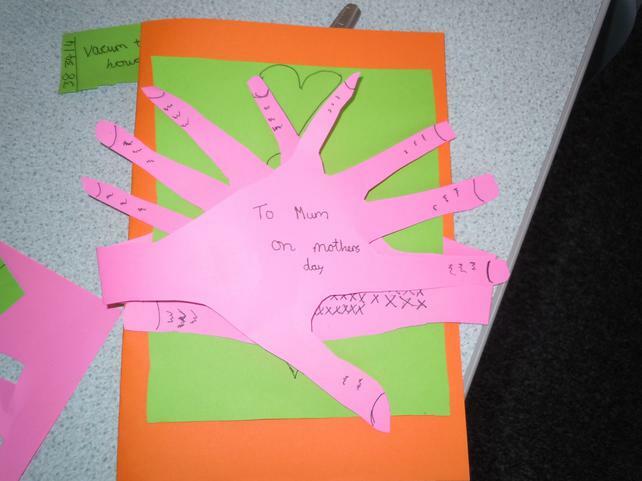 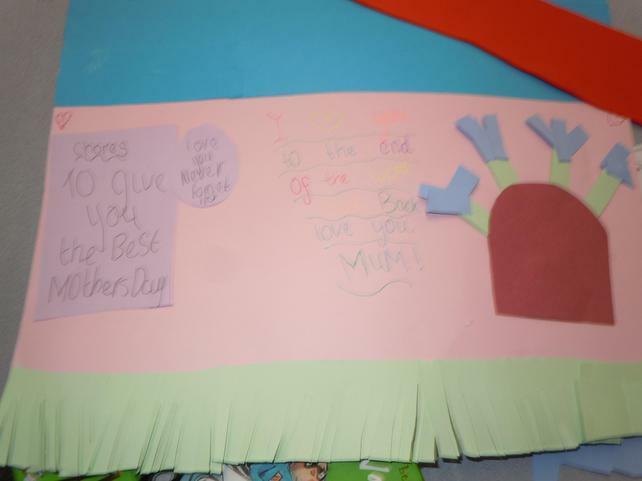 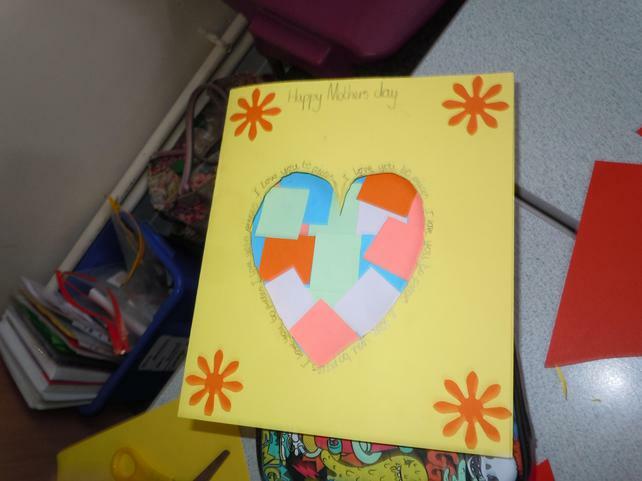 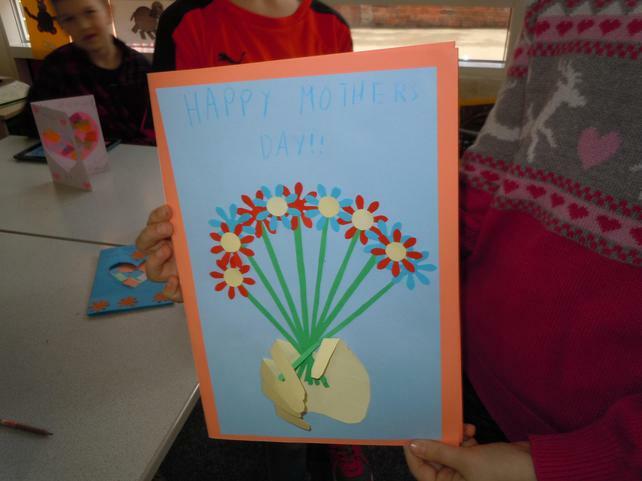 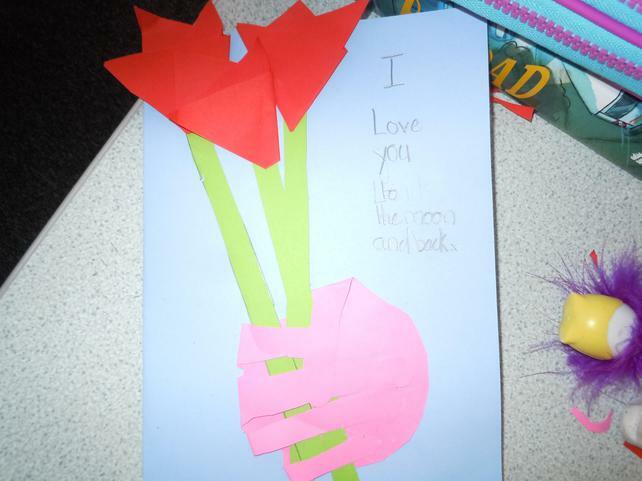 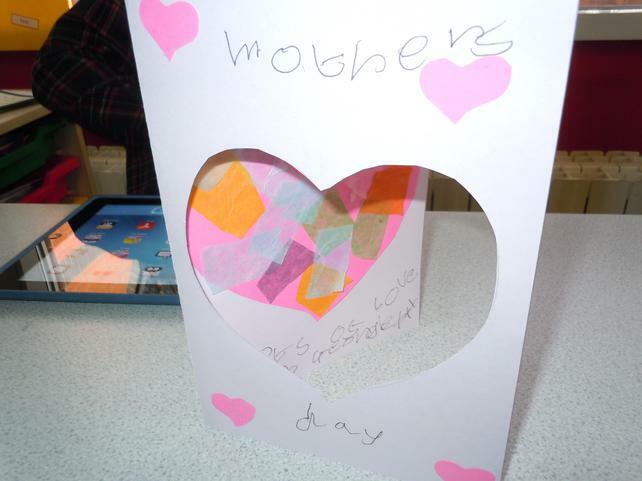 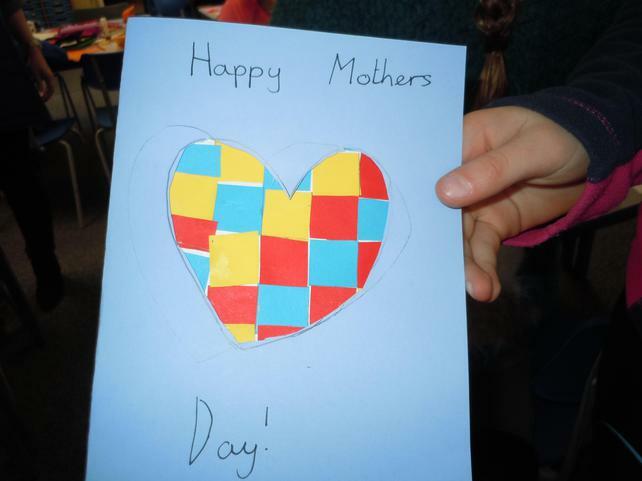 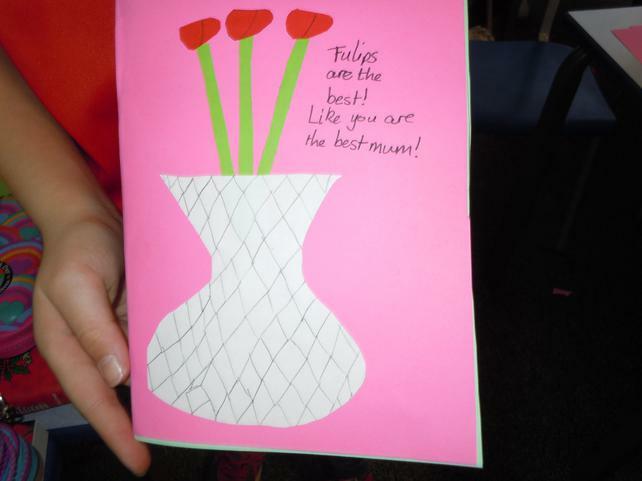 Happy Mother's Day to all our mums. 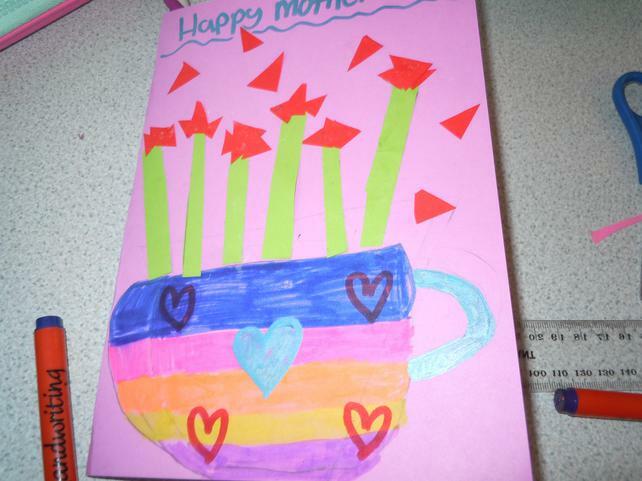 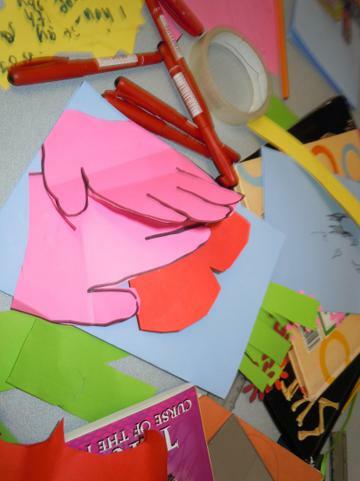 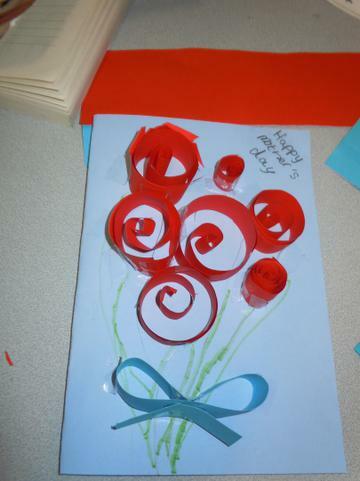 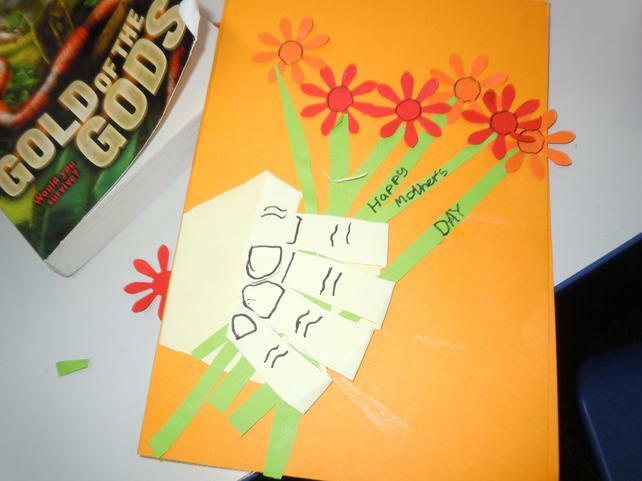 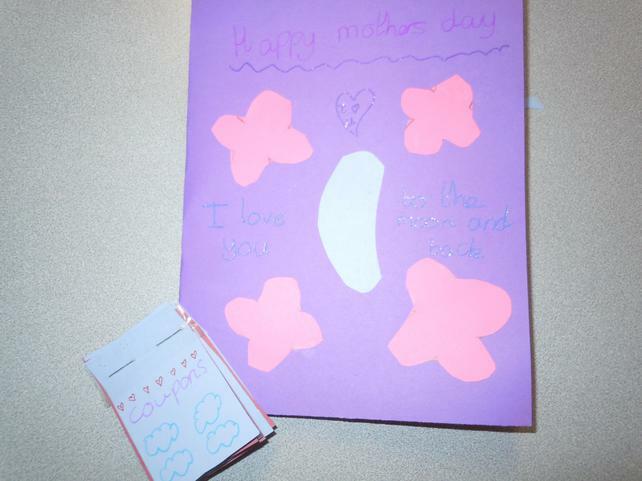 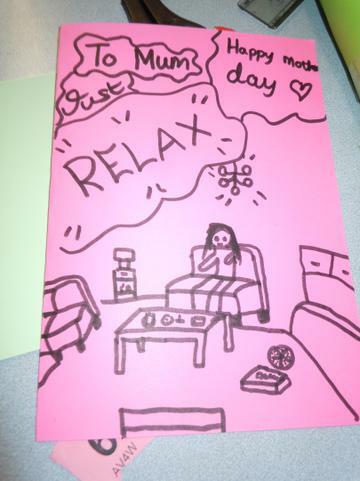 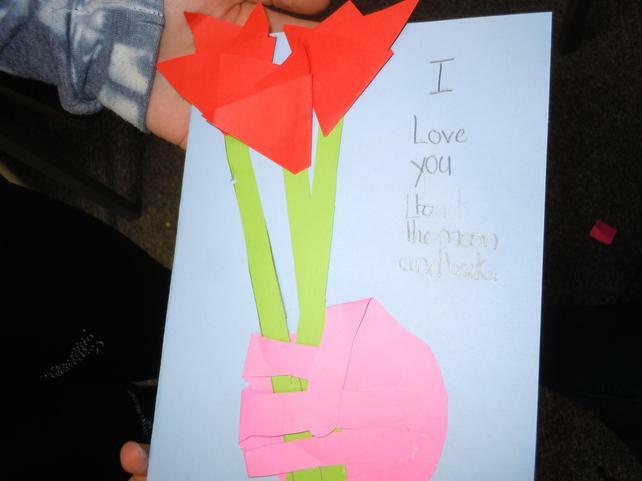 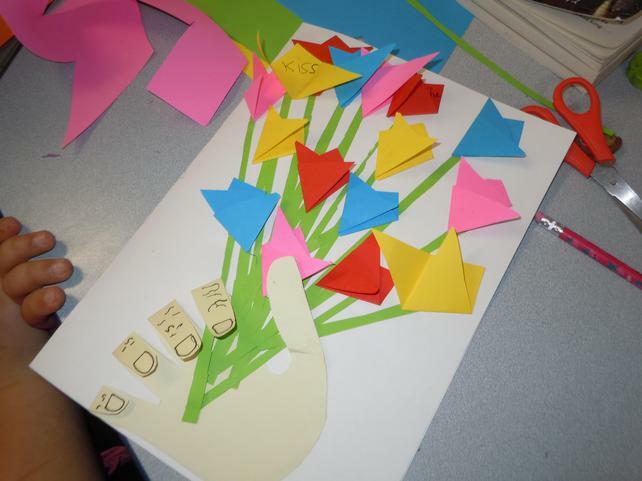 Hope you love your Mother's Day cards and book of coupons! 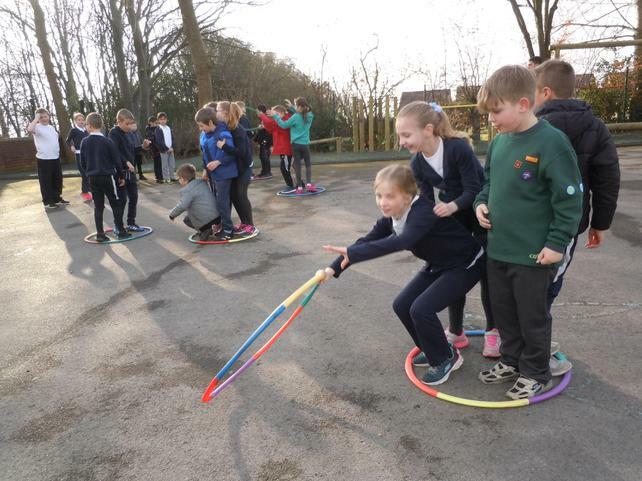 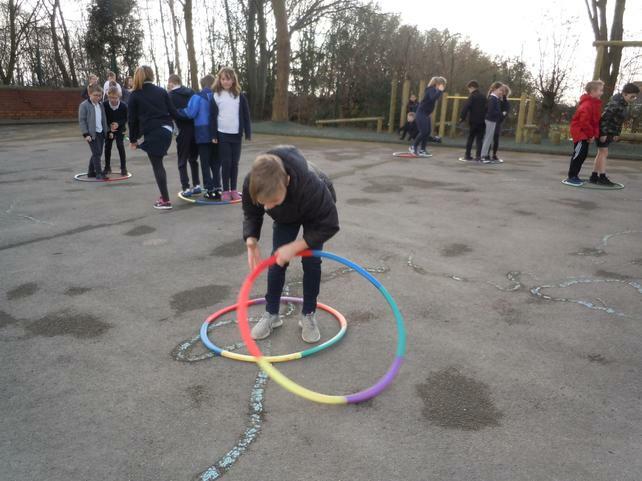 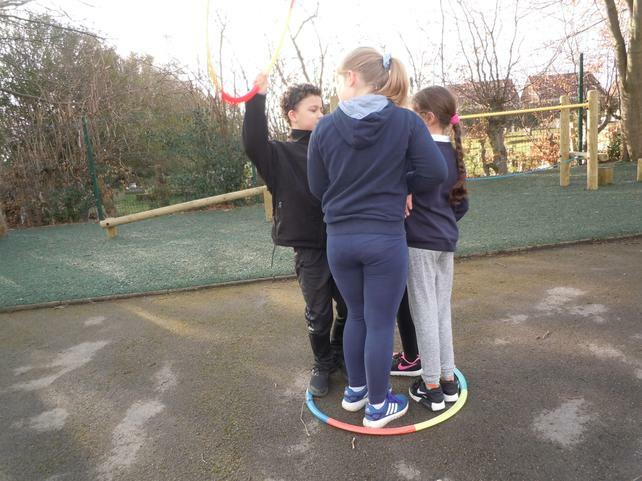 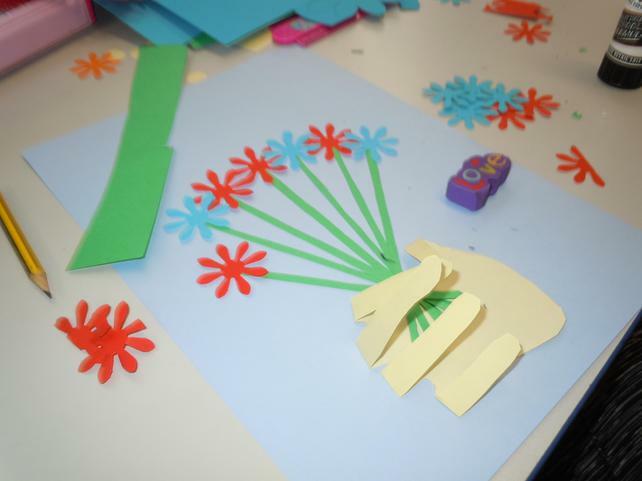 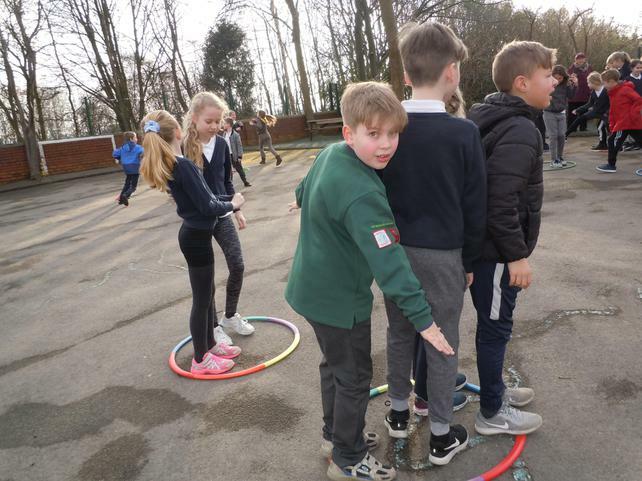 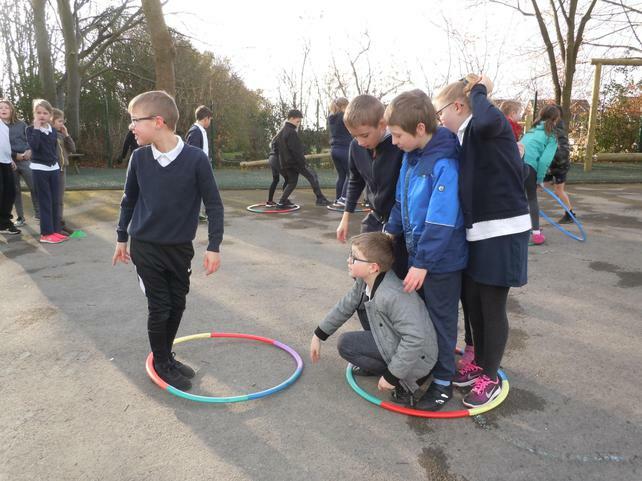 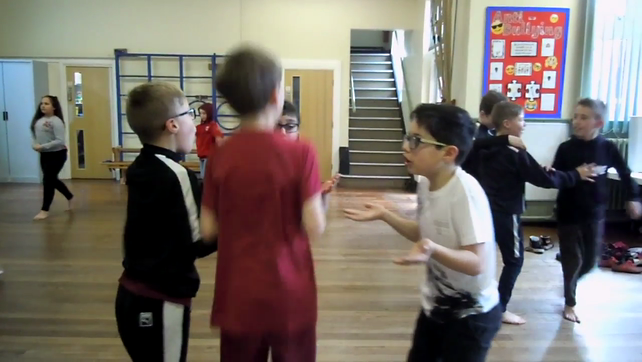 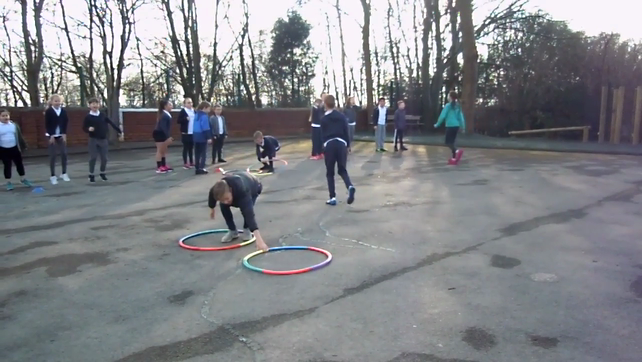 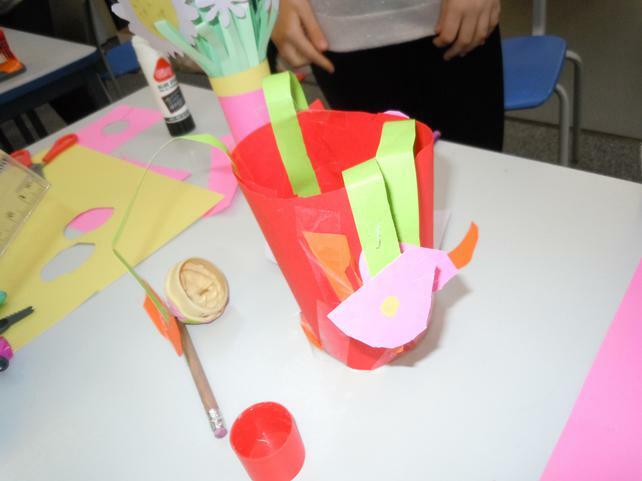 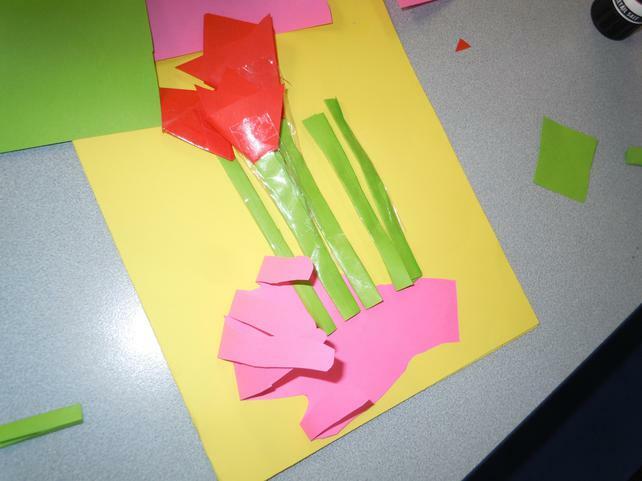 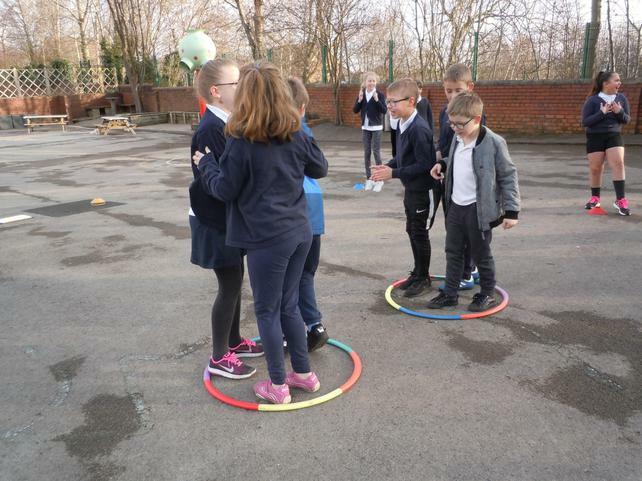 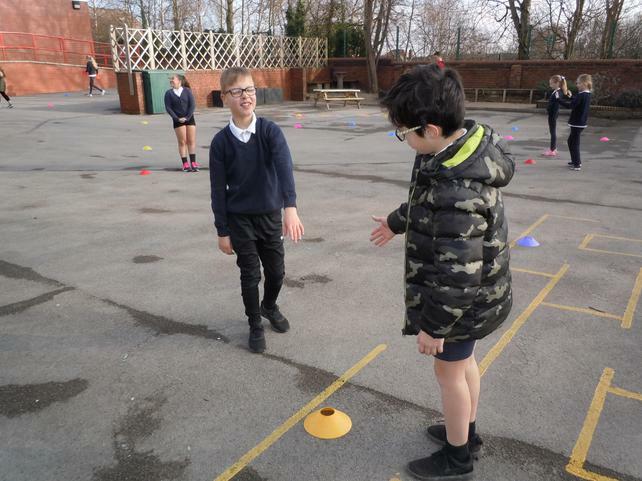 Class 4 had have been learning all about communication in these fun team-building activities in P.E. 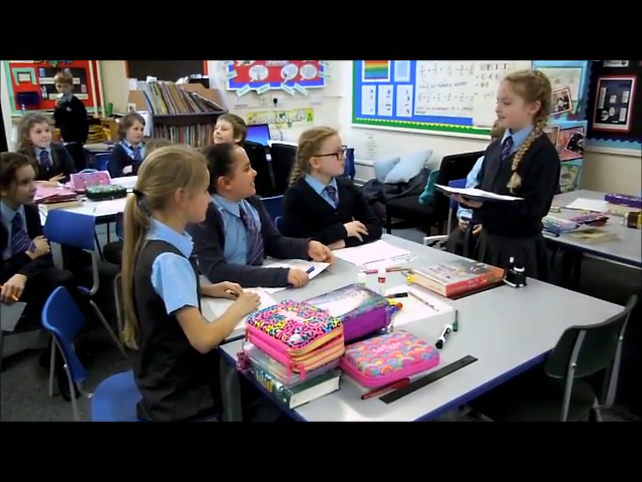 This week in R.E. 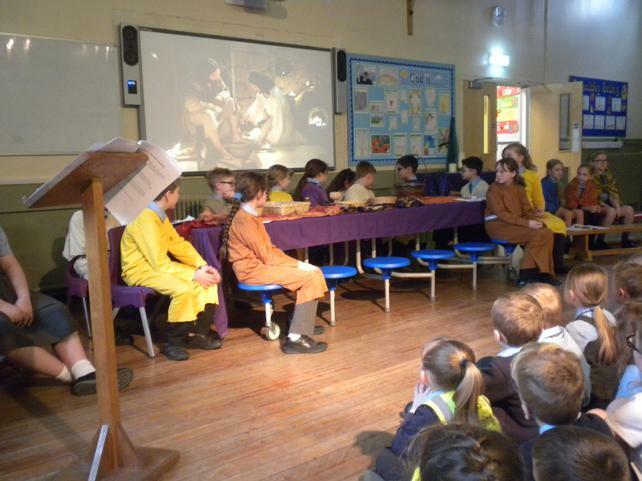 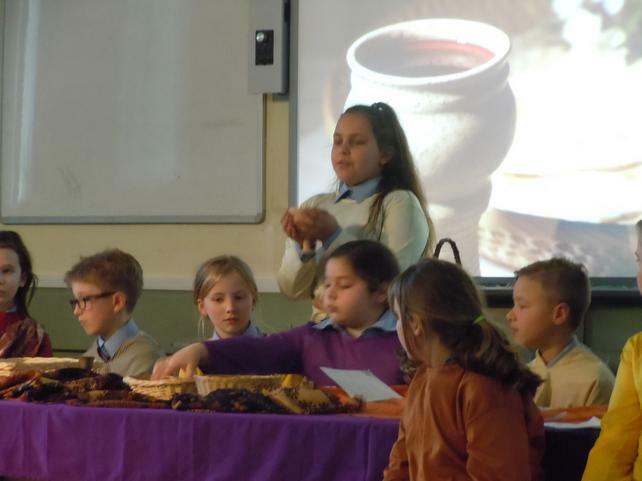 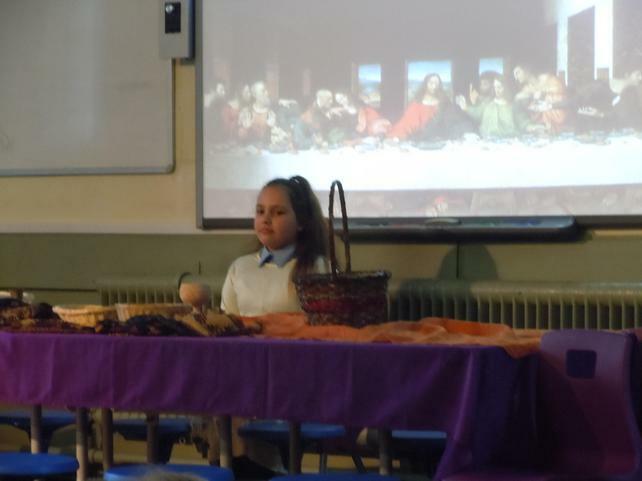 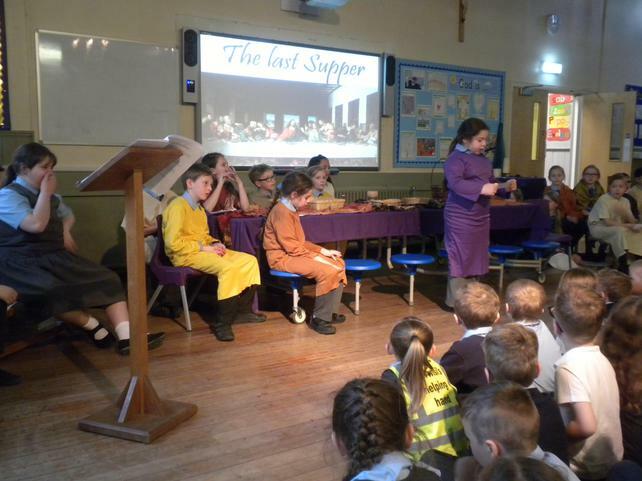 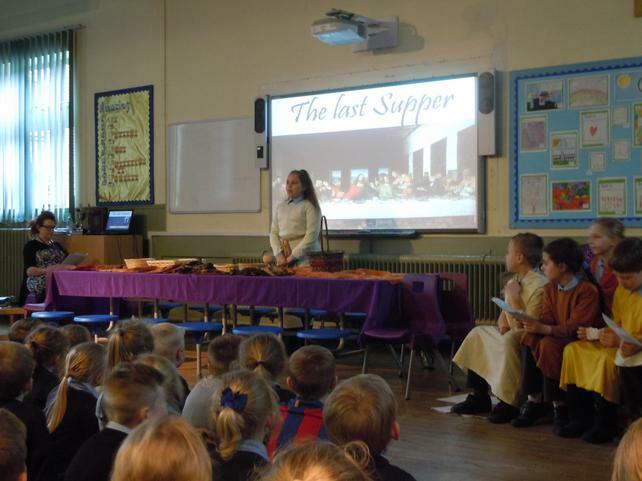 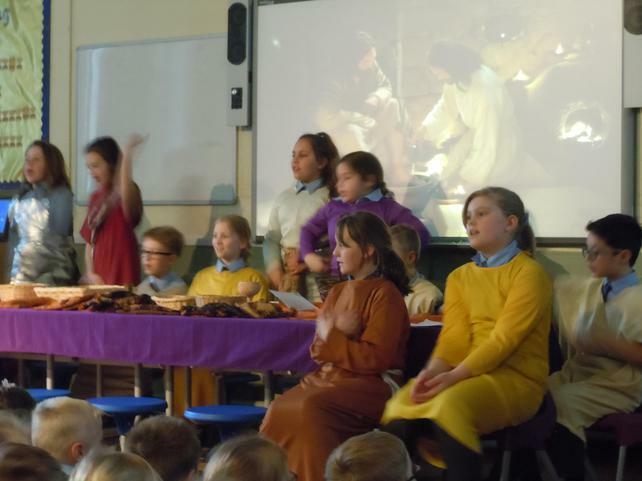 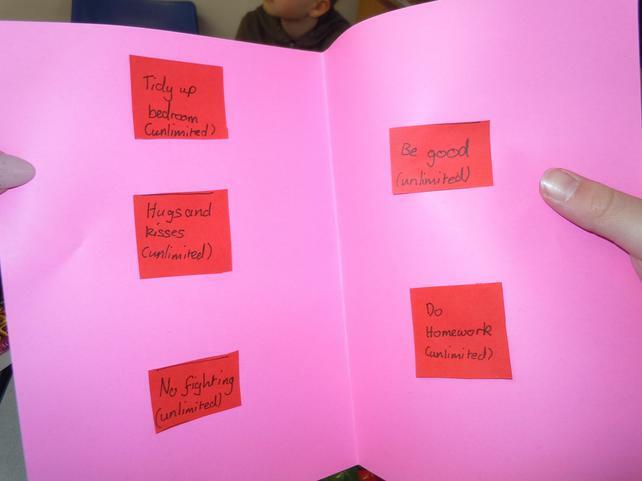 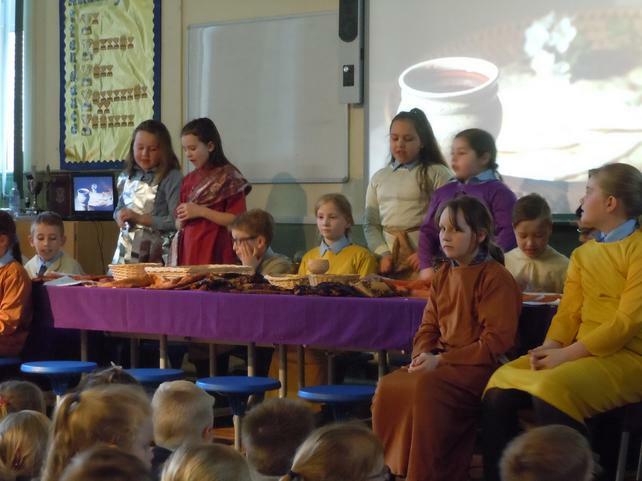 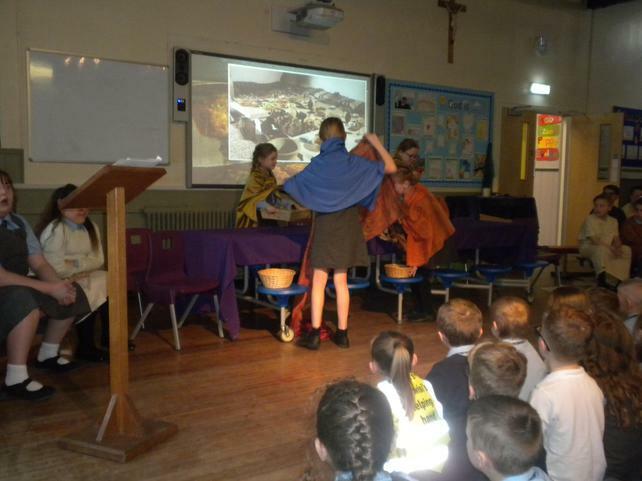 the children have been learning about the Communion Rite in Mass. 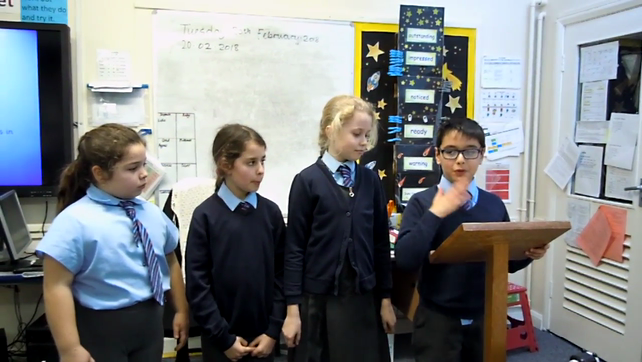 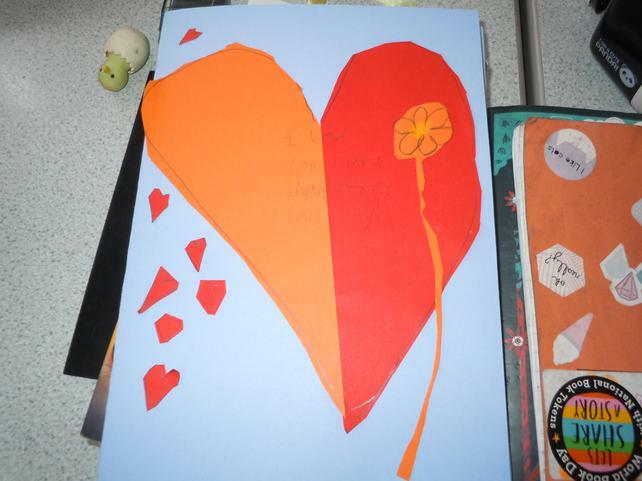 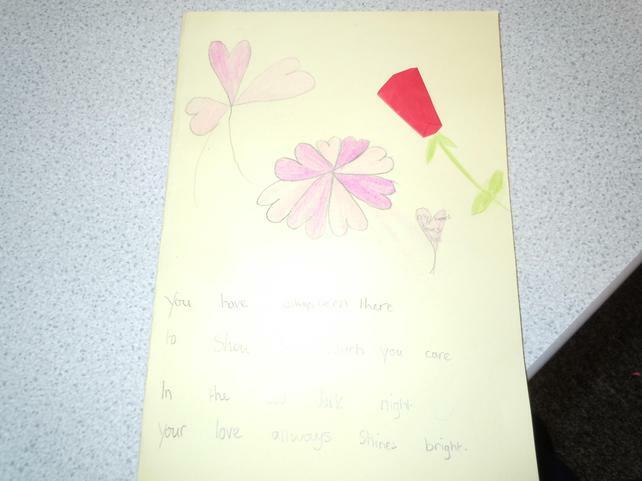 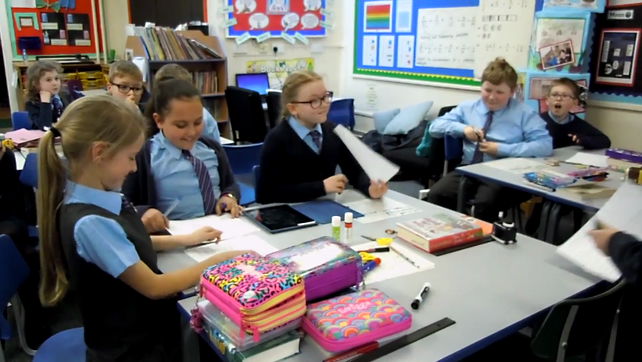 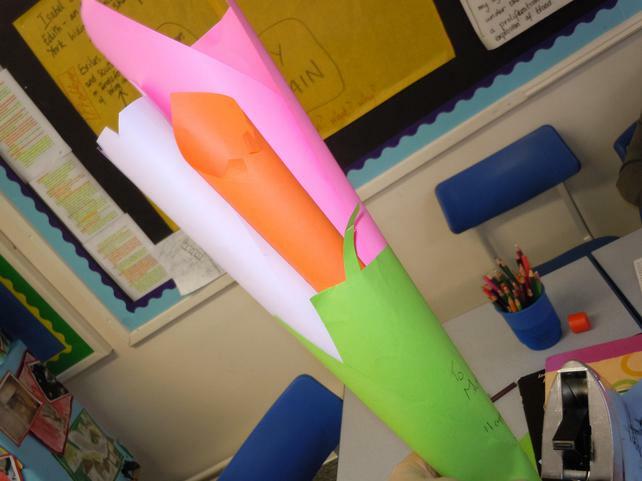 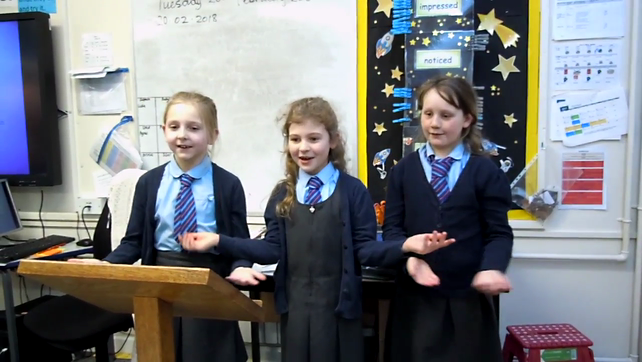 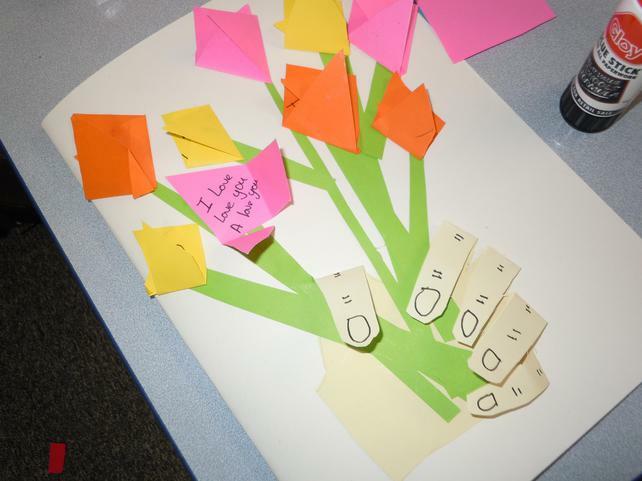 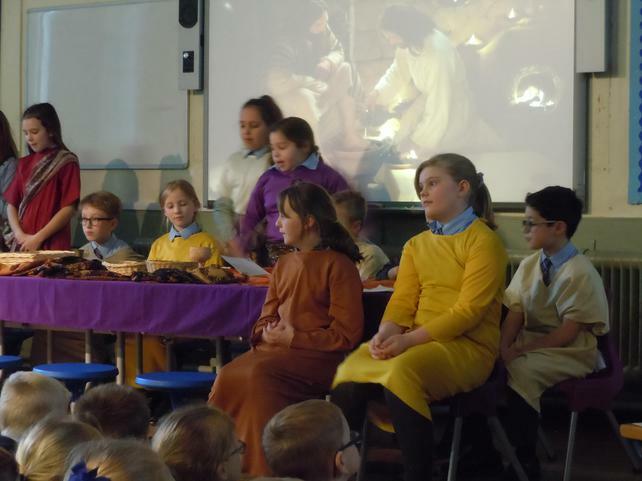 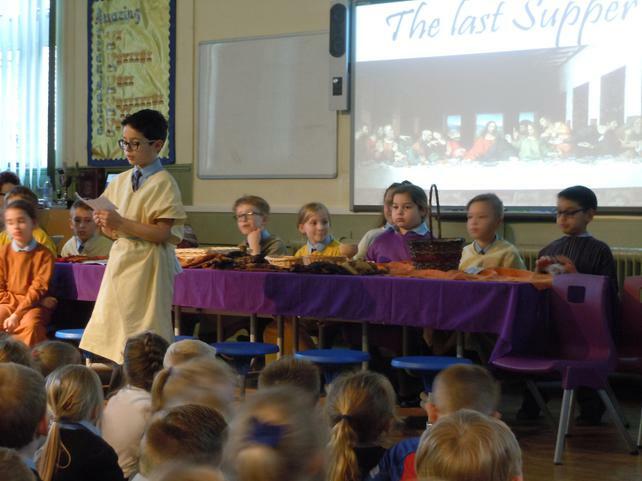 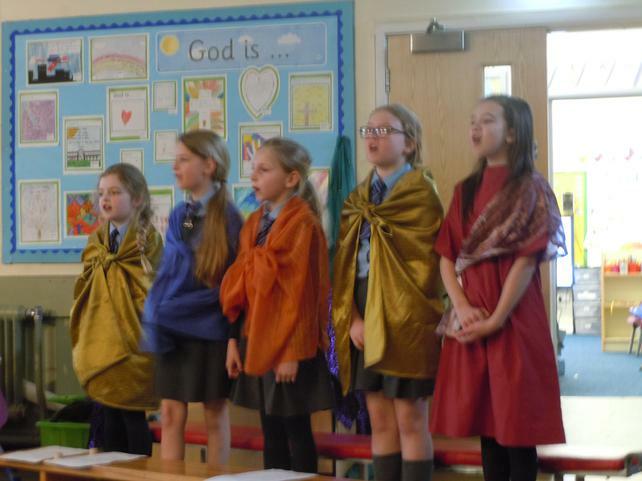 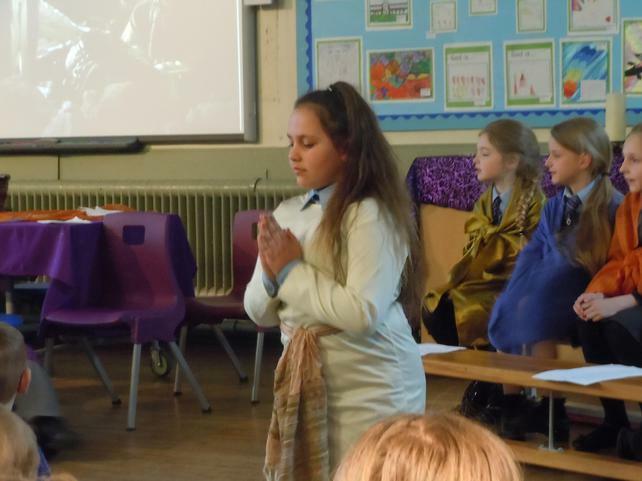 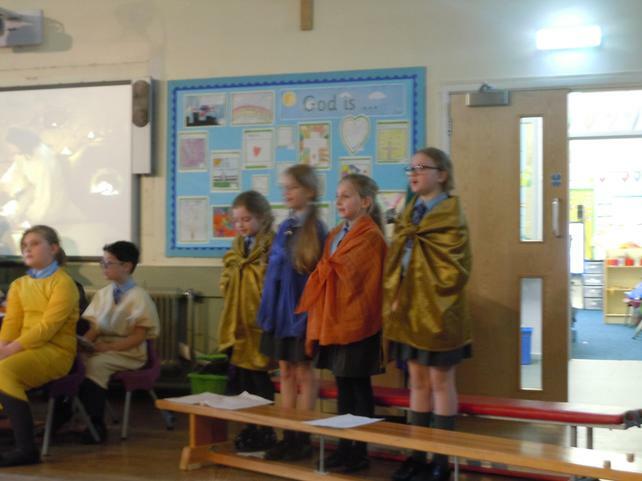 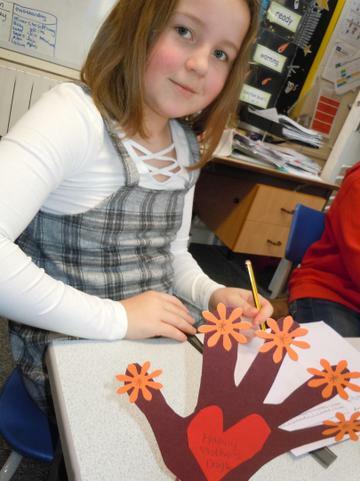 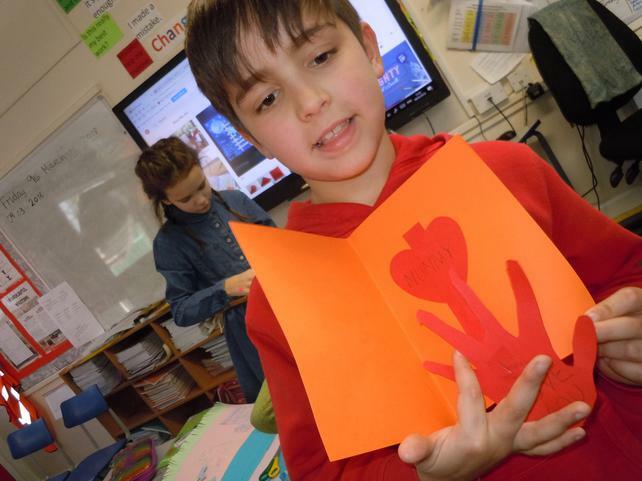 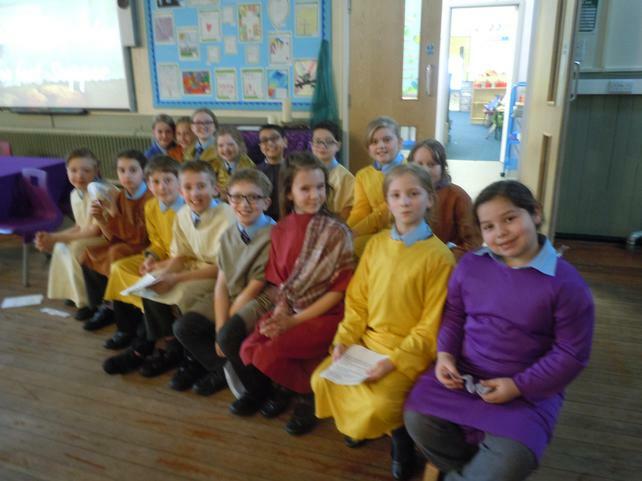 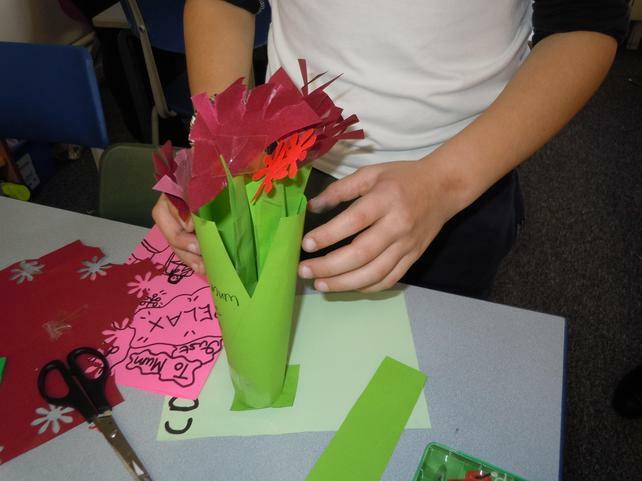 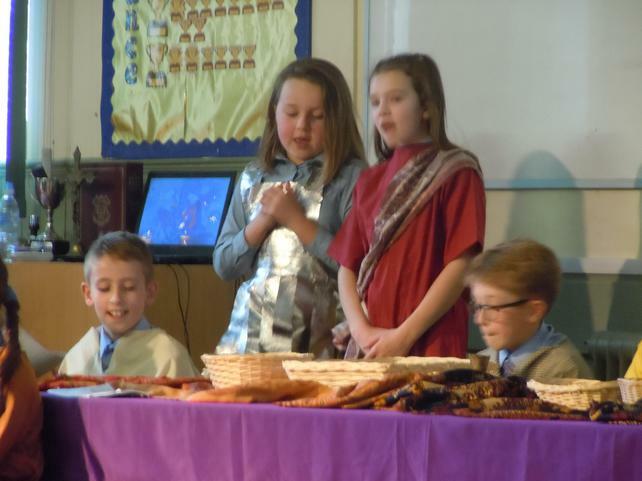 As part of their learning, they worked in pairs to explore the meaning of the Lord's Prayer and performed their work to the rest of the class.